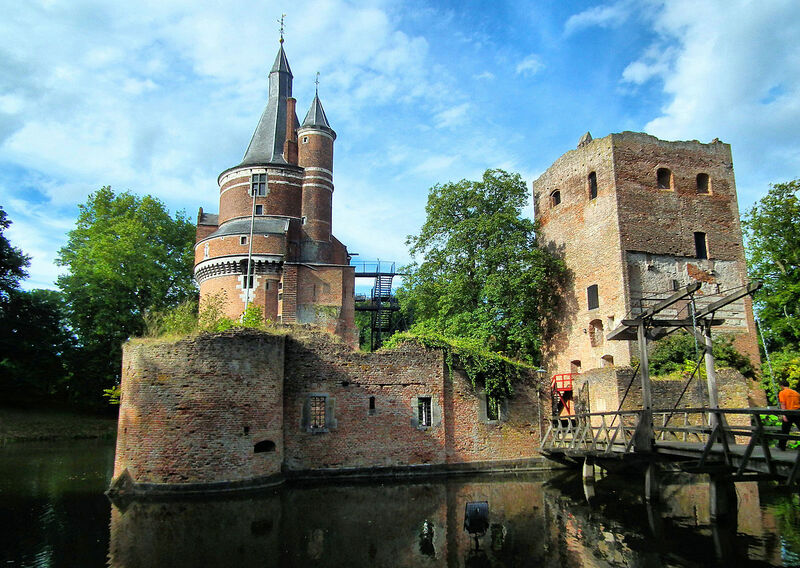 Around 1270 Zweder I van Zuylen van Abcoude built a freestanding keep on a raised and moated site. This military building was about 11 meters high and had 2,5 meter thick walls. Later on an extra floor and a residential wing with a great hall were added. Until the beginning of the 15th century Duurstede Castle was possessed by the Van Zuylen van Abcoude family, when they were forced to sell it to the bishops of Utrecht who kept it until 1580. From 1459 till 1496 the castle contained the administration and archive of the diocese of Utrecht and served as the residence of bishop David of Burgundy. He rebuilt and fortified the castle and made it a square stronghold with residential wings around a rectangular courtyard with 4 round towers on its corners. The old keep became the core of one of the new wings. The bishop had his living quarters in the great 'Burgundian' tower. An earthwork had to protect the castle and its bailey from enemy attacks. The bailey had a drawbridge. From 1517 the Duurstede Castle was inhabited by bishop Philip of Burgundy, a half-brother of David. He kept court like a true renaissance king and started to embellish the castle. When he was done 2 residential wings had been rebuilt and provided with exceptionally large windows. At these times the castle contained about 57 larger and smaller rooms. After his death the castle was inhabited by a bailiff and the household disappeared, also because the Holy Roman Emperor; Charles V, took away the secular powers from the bishops. After 1580 Duurstede Castle fell to the States of Utrecht. But because in 1577 the fortification of the town of Wijk bij Duurstede had started, the bailey had to make way. 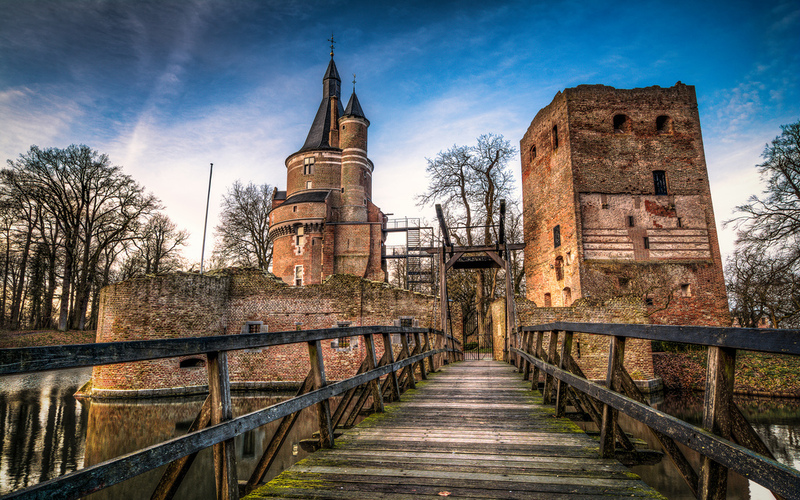 The States of Utrecht had no money to maintain the castle so it slowly fell into decay. And after the French troops had devastated the town in 1672 the townspeople repaired their houses and the town walls with stones from the castle. In 1852 the town council became owner of the castle and turned the fortifications around the castle into a park. Until around 1925 the castle could only be reached with a little ferry. The 'Burgundian' tower has been restored and the castle is now used by a catering firm. You can have dinners, parties and weddings at the castle. When I first visited Duurstede Castle there was a wedding going on so I couldn't get in. Another time it was being renovated with scaffolds and all. So I still have to go back once.